SEM or Search Engine Marketing is closely related to Search Engine Optimization (SEO). In fact, many SEM jobs will often want you to know a bit about SEO. Because you need to have some additional skills to do SEM. Also, knowing how PPC advertising (i.e., Pay Per Click advertising) works is one of the most essential thing for those looking to work in SEM jobs. In definition, SEO is the process of optimizing websites and web pages via content that contains particular keywords. Whereas, SEM uses advertising and promotion methods to give out featured results on first page search engine results. So the purpose of both is more or less the same. The only difference is the method and SEM usually uses paid form of advertising methods too. So something that SEM professionals should know about too is paid advertising methods like PPC advertising. The scope of digital marketing jobs and future of digital marketing jobs in India are extremely bright and Steady. So if you’re a person who is willing to learn and enjoy working online, you’ll find SEM jobs quite interesting. We are a global Healthcare communications and delivery platform that enables users both local and global to monitor their critical medical information and view it anywhere anytime. They now have opening for a SEM Specialist. To know more about this job click here. Drushti is one of the leading pure-play Managed IT Hosting Services Provider, specializing in Internet Data Center & Managed Hosting, Infrastructure Management, Managed Security, Cloud Computing, Application Hosting, Messaging & Collaboration and Disaster Recovery and Availability Services. To know more about this job click here. RankUno is a leading internet marketing company. We design, develop and implement interactive media strategies for our clients across the Globe. They are looking for someone who can create and manage Pay Per Click (PPC) campaigns across search and contextual networks for multiple search engines including Google Adwords, Yahoo and MSN. To know more about this job click here. 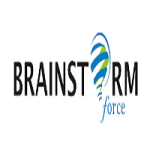 Brainstorm Force is primarily into Internet services and solutions. We specialize in helping organizations integrate their businesses with the Internet right from the basic building blocks like website, to more complex solutions built for specific industry verticals. To know more about this job click here. 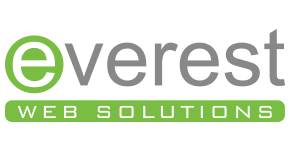 Everest Web Solutions Pvt. Ltd.
Everest Web Solutions was established in the year 2011. It is a full-service digital marketing company based in Pune, India. Our comprehensive range of services includes Search Engine Optimization (SEO), Pay-Per-Click (PPC) Advertising, and Social MediaMarketing (SMM). Now they have opening for SEM/PPC Analyst. To know more about this job click here.